Ah, Wooden staff, so many possibilities for new Southparkia characters.... Thanks Janina! my gandalf and martian manhunter will look decent now! Hey, the basket was my wish! By the way... the next update will be online next tuesday or wednesday (I won't have time before this). It's all about hats! So you can use the weekend to have a look at the wishvoting gallery and rate the hats there - or suggest new ones. Yes... I was planning to do this for a long time. The problem is, it is very complicated to include new highlights compared to most other items (like the hats ), so it's no real fun for me. But I should do it soon, I will remember it . Ooh, nice. Some of these are really useful. 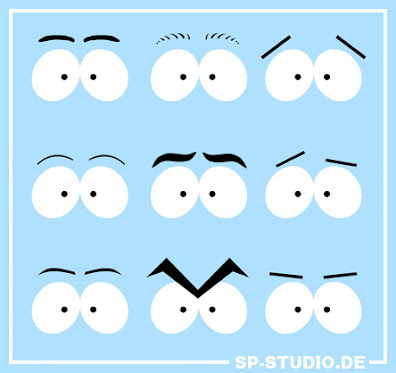 I included nine new shapes of eyebrows in multiple colors. They will improve the facial expressions of your characters. And if you enjoy building celebrities, friends or family members they can help to create a better likeness. Most of them were inspired by . And FINALLY the rectangular eyebrows are back. Ah, probably the most useful update so far, in my opinion. Excellent work as always, Janina! The Second ones in the first rows look just like my nearly unexistant brows! Yay! I wished for this in my first week here jesus was that nearly two years ago. I guess I can be really slow sometimes . the eyebrows are, I guess the items you can show most different emotions. Haha, SP-Studio News, nice update Janina!